When we mention our Luxury needs, we think about buying a new and latest product, We think Consumerism. Luxuries of the past becomes necessities of the present. Luxury and Minimalism can ho hand-in-hand. You ask How when Minimalism itself means Less stuff. We all want to own Stuff but the aim here is to not own anything but best for you, for your family. When you own best, small things will also be counted in Luxury. Minimalist Luxury does not mean expensive but BEST for you . Time is Indeed a Luxury these days, for me at least. “Luxury stuff” is just like tinted glasses you wear to distract from the big and important; LIFE. When you want to learn a music instrument,owning an Instrument is your Luxury. When you want to travel the world, ticket discounts and a partner are your Luxury. When you want to pursue a Hobby, easy access to resources is your Luxury. When you want to seek good education for your Kids, proximity is your Luxury. When you want to begin a startup, having a good Mentor is your Luxury. Having time and resources for getaways – and to stay at peaceful and calming place. Having enough time and resources for my Blog. Having enough resources for my Kid’s education. Having time to sit down and relax. Having time for my health. Having time and energy to wander and explore. Having time to sleep extra over a weekend afternoon. Having resources and time to grow my own garden. 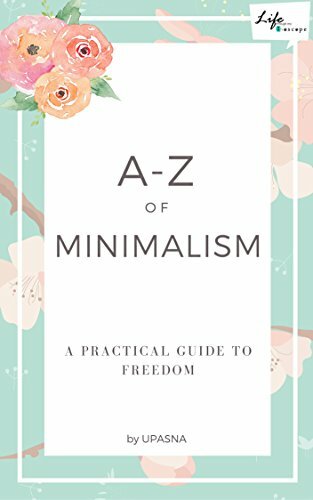 After all, Minimalism is to provide a great experience for yourself and for this, we need to learn to draw a line between our needs and wants. List down your Luxury Needs and do share here to inspire others. I love this! The Minimalists say similar about drawing up a list of things you’d love, things you want and things you really need. I love your luxury list, mine would look very similar. Thanks Sammie. I think Cakes are luxury.. right? Great to know different variations of Luxury. Thanks for the visit Paula. Thanks for acknowledging my thoughts Ravish. This is something I feel. I want the luxury of freezing time. I wish that was possible but sadly it is not. Besides that, I would want all the luxuries that you have stated above. Your perspective on luxury is infectious! Thanks Vinodini. Over this weekend, luxury was “1 hour afternoon sleep time”. A good pen to write with. What an honest list Roshan. Thanks for sharing. Luxury redefined – I love your refreshing way of looking at luxury, Upasana. Learning a lot from your posts. Thanks Mayuri. I write what I feel. What was your Luxury over the weekend ? This was actually a very lovely take on luxury, Upasna. As I grow older, I find it more important to reduce the clutter in my life: things, thoughts, luxuries. So this series you’re writing is a much needed one for many people. I am glad to know that these are helpful Shailaja. Thanks.